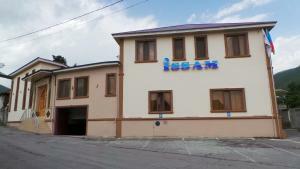 Issam Hotel is located in the centre of Sheki. It features an indoor swimming pool and a sauna. Free Wi-Fi and free private parking are provided. All bright rooms come with air conditioning, a flat-screen TV and a minibar. Free toiletries, slippers, bathrobes and a hairdryer are available in a bathroom. The on-site restaurant serves various Azerbaijan and European dishes, and guests can have a drink at the bar. 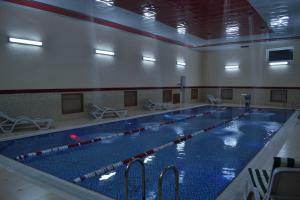 Issam's spa centre offers different treatments, including massage services, and it is possible to work out in a gym. The entrance to spa area is free of charge for the hotel's guests. Sheki Train Station is 11 km from the hotel, and Gabala Airport is 65 km away.